The Internet has brought an old book back to life by focusing on its contents and not on its title. 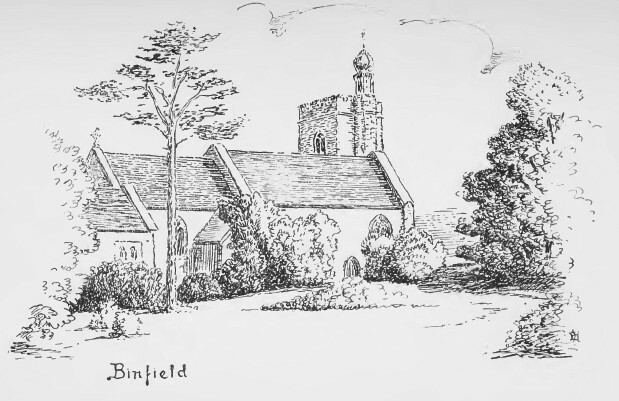 "Byways in Berkshire and the Cotswolds", by P. H. Ditchfield, M.A., F.S.A., and published in by Robert Scott in London in 1920 is not really about byways at all. Its author, the Rev. Peter Ditchfield, knew Berkshire well. 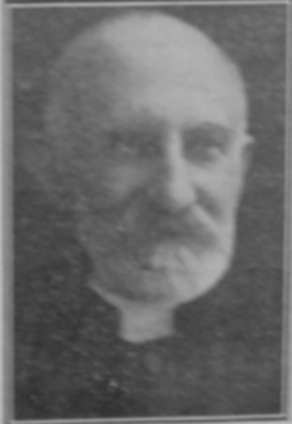 Having been a curate at Sandhurst and at Christ Church, Reading, he was Rector of Barkham Church from 1886 until his death in 1930. He was a prolific author, writing many books on diverse subjects. 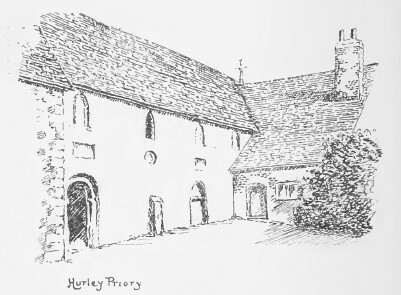 He also wrote 'Notes and Queries' for the Reading Mercury for many years, and was president of Berkshire Archaeological Society. The book is divided into two main parts: The Windsor Forest and the Cotswolds (which until 1974 reached into the west of the old Berkshire), and is a guide-book of many local towns and villages, introduced via itineraries of rambles and boat-trips, full of local history and amusing anecdote. 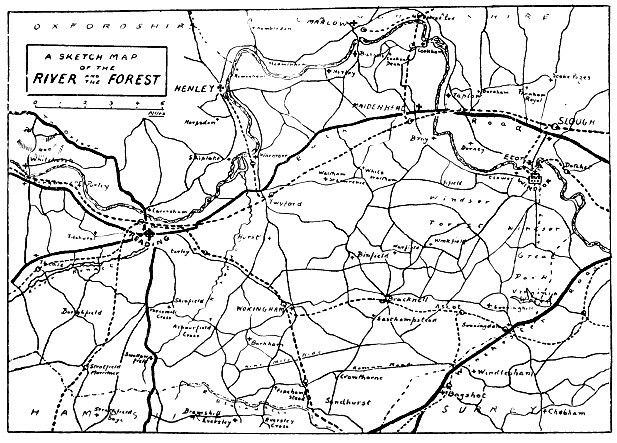 Two of his 'journeys' pass through Arborfield, hence the book's inclusion on this web-site. Peter was so well-connected that he casually mentioned then-famous names such as Prince Christian throughout the book. He made some robust comments on the errors of other historians, particularly on the derivation of place-names such as Arborfield. "The war has made us a semi-military village and khaki is seen everywhere. We have a Remount Depot just beyond our borders. to help our men to fight our battles for England and to win the victory." grand young-limbed athletes, lie in unknown graves in France and Flanders. but I question whether the regatta will ever be the same again." "It is impossible not to regret the necessity which the war laid upon us for the destruction of our woodlands. Our Windsor Forest has suffered with the rest of the country. The regions of Ascot, Virginia Water and Sunningdale have paid heavy toll to Canadian lumbermen. We have made great sacrifices during the war, and amongst these must be counted the serene beauty of many an English landscape, and the loss of stately trees which none now living will ever see replaced." "Such is the onward march of the firs which we love to watch in these days as much as Kingsley did. But the woodman's axe is laying heavy toll upon our forests. and we are obliged to help ourselves to our own native stock. and large tracts of country are as bare as barge-boards. and we beat our swords into ploughshares and our spears into pruning-hooks. 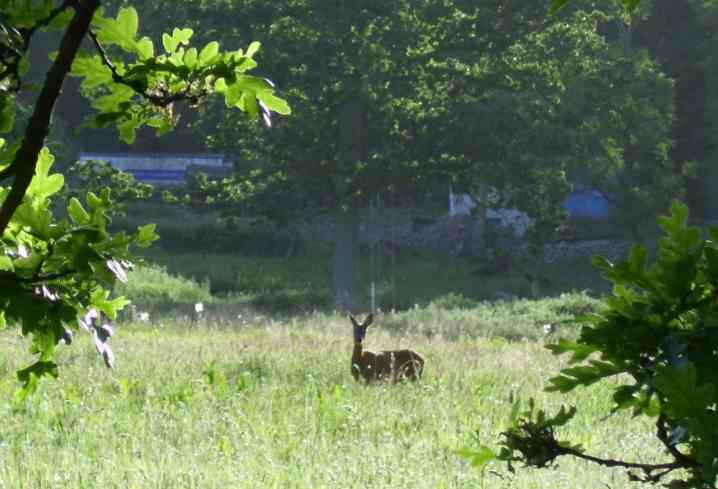 England like our fir forests has a wonderful capacity for recovery." anxious to escape from the terror of air-raids. and devoured all the fat of the land and ate the fruits of the ground". And like its master very low. 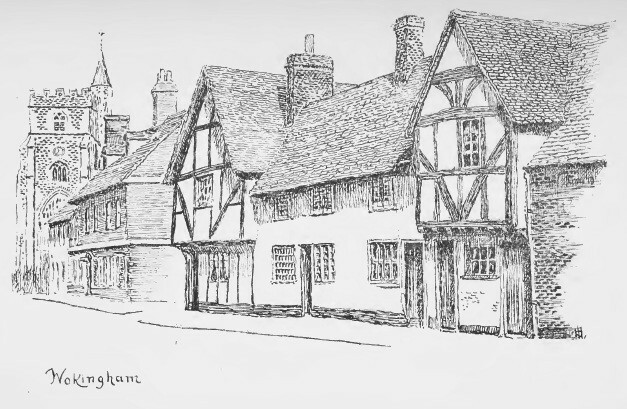 Chapter 4 - Wokingham, a Forest Town. Edward Standen was the last of his race, and is always said to have pined away and died at the early age of twenty-seven. Every account of Wokingham records this supposed fact. It is unpleasant to be obliged to dispel illusions. However, I have studied the pedigree of the Standen family of Arborfield, and find that this Edward Standen married a lady named Eleanor, and therefore consoled himself after his youthful disappointment. He died childless. Molly lived to the age of sixty-seven and died unmarried. Some have supposed that Sally was the scornful and reluctant maid who won the affections of the young squire, but I refuse to dethrone Molly from her rightful place. Peter Ditchfield even criticised Camden's historical precision. 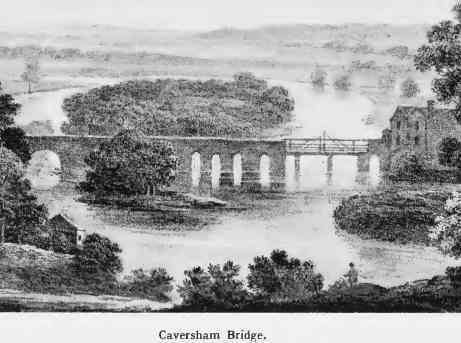 Camden said that the bridge was built in 1460, but that there's documentary evidence that the bridge was repaired in 1297. 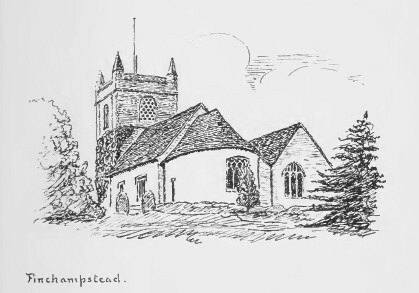 Peter suggests that the traveller returns to a hostelry in Maidenhead for the night, which gives him a chance to relate an amusing story about the "Bear", where James I dined with the Vicar and Curate of Bray unbeknown to them. For the punch-line, see P. 95]. Chapter 7 - From Maidenhead to Henley. The Thames has always been liable to flood, but he quoted a Dr. Plot who stated that in summer "in dry times barges do sometimes lie aground three weeks or a month or more". 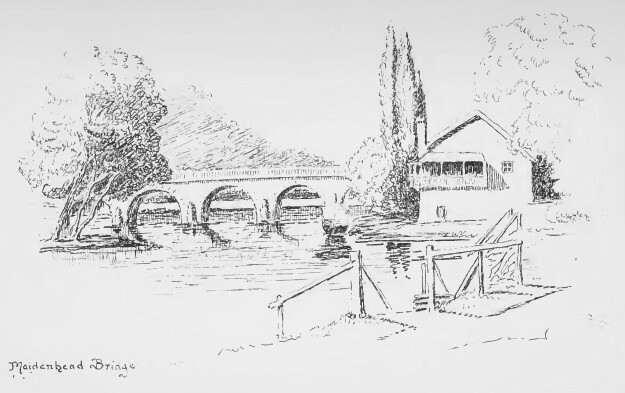 From Maidenhead, the voyage in a rowing-boat takes him past 'Cliefden' to Cookham, whose ancient church is described in "a long and interesting paper by Sir George Young" - an ancestor of the current MP. Bisham Abbey where we could linger with pleasure the whole length of a summer day. The beauty of the scenery and the historical associations of this monastic house and architectural charms, are delightful in the extreme. - The entire text is transcribed here. Part II - "Berkshire Highways and the Vale of the White Horse"
Most of this section of the book isn't close to Arborfield, but the first journeys in Part II were within walking distance, albeit half a century before the motorway and dual carriageways completely transformed the scene. Chapter 1 - from Three Mile Cross to Reading. Chapter 2 - from Reading to Streatley by the Thames Highway. Part III - "Where Three Counties Meet"
This section is well outside the Arborfield area, but also well worth a visit. It is based around the old Berkshire town of Faringdon, long since handed over to Oxfordshire. 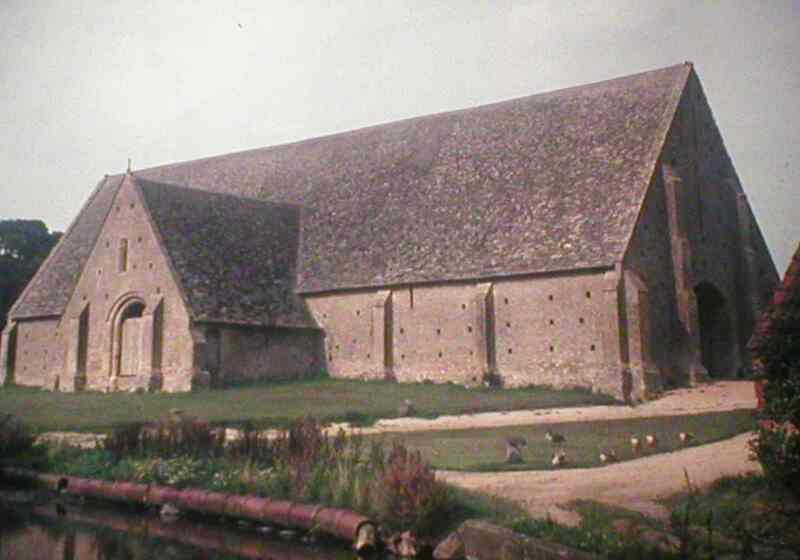 Its excursions cover Great Coxwell (with its magnificent Tithe Barn, seen below in 1975), Coleshill, Highworth, Shrivenham and Watchfield, and finishing in Fairford (now better-known for its air base). Part IV - "The Cotswold Country"
This section ventures into Gloucestershire, starting with Cirencester (or 'Cisester', as it was pronounced locally in Peter Ditchfield's time) and covering Birdlip Hill, Bishop's Cleeve and Evesham; then Broadway, Winchcombe and Sudeley Castle; then Burford, Painswick and Prinknash Park, finishing at Cheltenham.